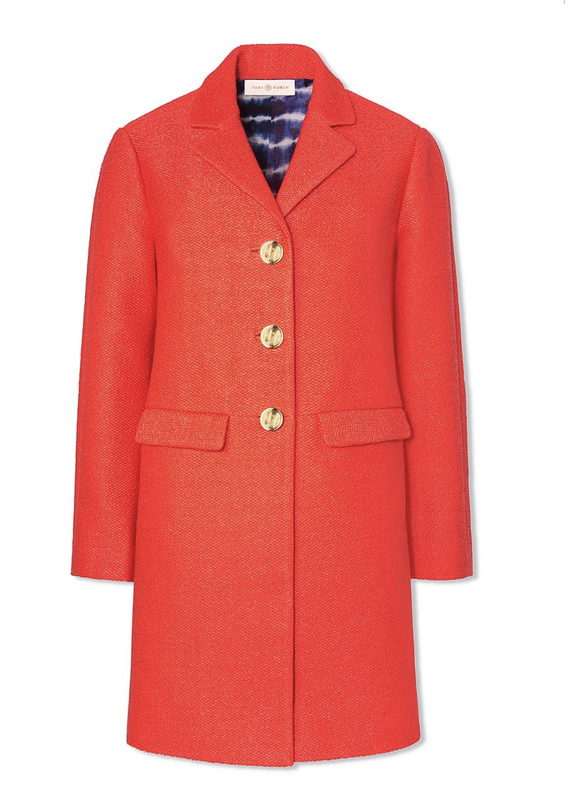 Tory Burch has two great coats in the Spring 2017 collection. 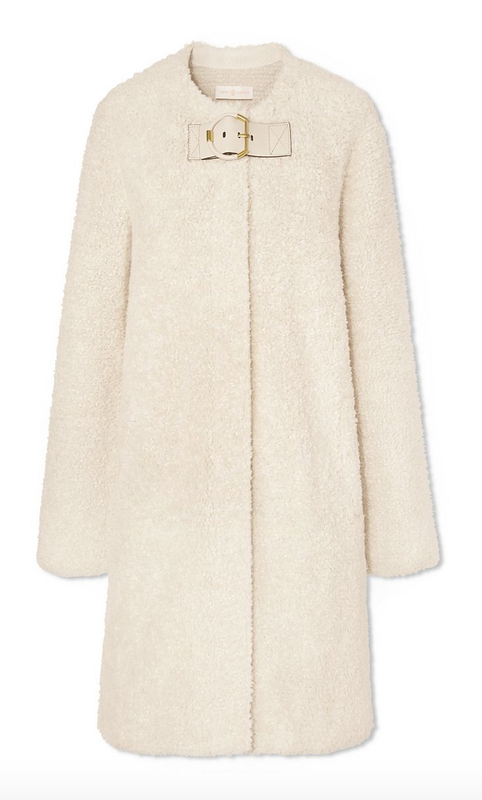 The Hibbert Coat is extremely pretty and lady-like, but let’s not kid ourselves: with my propensity to spill coffee, trip and fall, and generally do things like get splashed with mystery liquids, this light colored number is probably NOT for me. It’s hard to tell from the picture, but the coat has bracelet length sleeves and a cool blue and white lining. I want this to go on sale NOW! I ran three Run Disney events: the 2015 Wine and Dine Half-Marathon (which turned into the Half-Half-Marathon, but more about that later), the 2016 Marathon, and the 2016 Tinkerbell Pixie Dust Challenge, which is really two races. So make that four Run Disney races. We went on another Disney Cruise, this time with friends and on one with a Star Wars Day at sea. (Ok, I am also disclosing all of my Disney nerd-ness upfront here). I got braces. Ok, Invisaligns, but I think that still counts. I’m about a third of the way done with the program. Initially I wasn’t even convinced that I needed them, but when I found out our insurance covered it, I bit the bullet. Trixie was in a play. She was a Wolf in “Beauty and the Beast.” If you are familiar with this work at all, you will know that the Wolf is not exactly a starring character. I still did not break up with Stitch Fix, despite threats. I read a lot of books. For me, that is. I’ll do a separate post about them, too. My kind, 94-year-old grandmother died, but I was there to hold her hand. This wasn’t an easy day, but it’s a memory I cherish. I went to a lot of places: Dubai; Florida (three times); Austin, Texas; New Orleans; Scottsdale; Anaheim; Washington, D.C.; Las Vegas; Chicago; Michigan. A recent thing: I diligently started using My Fitness Pal. Being honest about what I really eat and drink has been humbling, but effective. Some of my favorite blogs also went dark, or at least very, very quiet: RunKnitTravel (I really miss the race reports and travel updates from this blogger), Hitha On the Go (although this fave is currently on an upswing, yay), Run The Great Wide Somewhere and One Mother Runner. But a few new blogs also caught my attention: Disney Tourist Blog (frequent posts and lots of in-depth information), My No Guilt Life (also running, parenting and life-in-general), and Momastery (not exactly a secret, but new to me). I descended, but now I’m Rising Up. I’d love to know what you’ve been up to. According to an Associated Press report, the top Googled story of 2014 was – morbidly so – Robin Williams’ suicide. 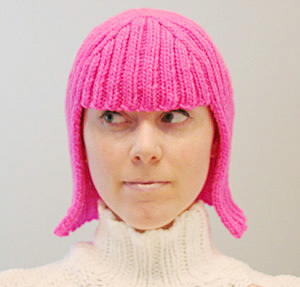 When I was researching yesterday’s post about D-I-Y gifts, I stumbled upon a link to make this fun hat/wig combo, which would be perfect to wear while I trail behind the kids as they go trick-or-treating next month. Last week I posted about how much I loved the AERIN fragrances, so much that I had difficulty choosing just one. 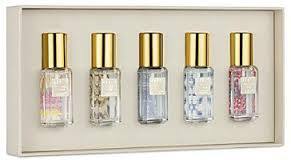 This coffret contains all five AERIN scents. Want. (This would also make a great gift). 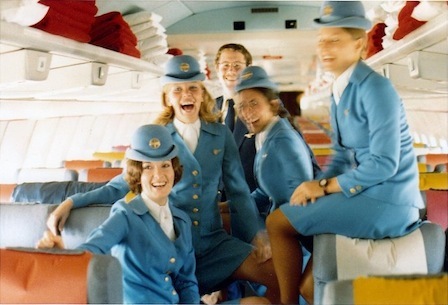 Here’s another great story from “The Dinner Party Download” last week, celebrating the glamorous Jet Set age of airline travel. 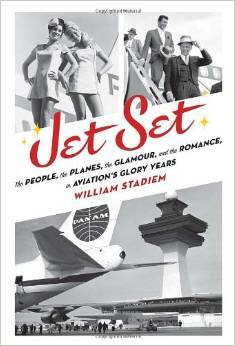 “Jet Set: The People, The Planes, The Glamour and the Romance in Aviation’s Glory Years,” a new book by William Stadiem, describes the arc from luxury travel in the 1950s and 60s to the cattle car conditions of today. While I’m definitely considering this for my next in flight reading material, it may prove to be too depressing as I munch my tiny bag of pretzels back in coach. As you head into the terminal, take a quick picture identifying the location of your car in the parking garage. This avoids aimless wandering on the back end of the trip, when you’re inevitably exhausted. Take a screen shot of your mobile boarding pass and (temporarily) make it your home screen. No more struggling to unlock a passcode and pull up an email at security. Download your airline’s app, which is usually free. I often fly Delta, and they have a great mobile app that allows you to check-in and tells you gate information and flight status. Please share other great tips if you have them!